NBA MVP Steph Curry is adding to his monster year. Breakthrough season, NBA MVP, NBA Champ but I think this moment exceeds them all. 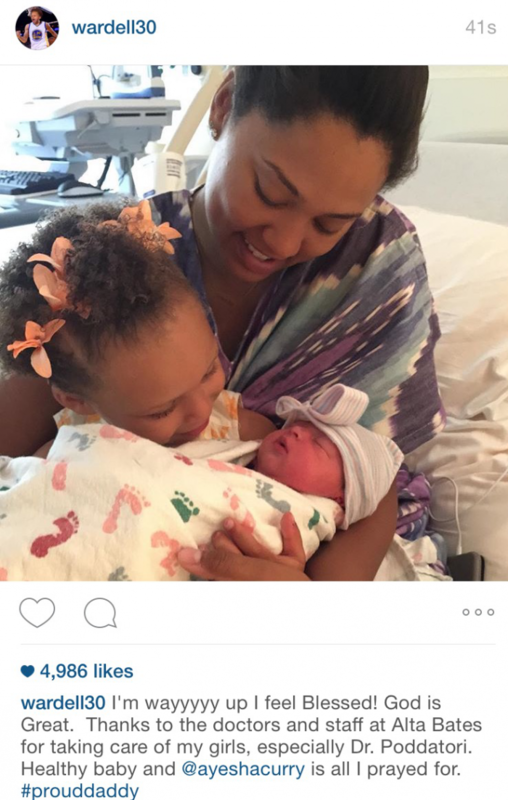 Curry and wife Ayesha welcomed their second child on Fri. names Ryan Carson Curry. They have a child which the world has become accustomed to named Riley. Both parents are happy that the new baby came into the world healthy. While the news is a few days old, the first picture of the new bundle of joy has just been released thanks to Steph and his Instagram page with a thoughtful message. Check out the picture of the happy family. Congrats to the whole Curry family! The updates you need to get you through your day!